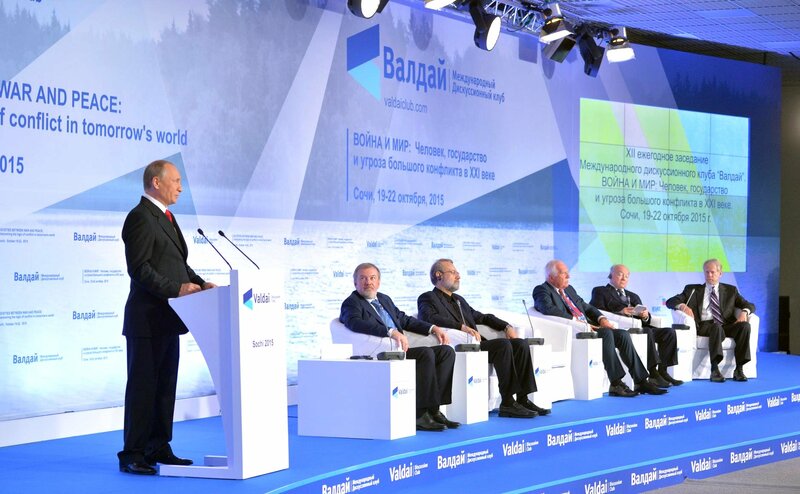 President of the Russian Federation Vladimir Putin took part in the final session of the Valdai International Discussion Club’s 13th annual meeting, which this year took the theme The Future in Progress: Shaping the World of Tomorrow. T.Colton: Thank you. Please now, Mr Fischer. T.Colton: Would you like to respond now, Mr Putin? Or we’ll get to the others. V.Putin: Let’s hear what Heinz and Thabo have to say. T.Colton: Okay, very good. Sure. T.Colton: Thank you. Mr Mbeki. T.Colton: I was a bit nervous that my general question would not elicit interesting responses but I was quite wrong. Thank you very much. Mr Putin, if you care to respond briefly to any of these things, please, go right ahead. T.Colton: Tarja, you wanted to reply briefly. Tarja Kaarina Halonen: If I can answer, it’s good that we still have this good dialogue between us, Mr Putin. T.Colton: Ok, so now what I would like to do, thank you all, is field some questions from the audience. T.Colton: I’d like to recognise Andrey Sushentsov now, and then we’ll do Mr Bystritskiy. T.Colton: Alright, I would like to ask now Sabine Fischer from Berlin. Here she is. S. Fisher: There was discussion about sending a policing mission to Donbass, and also emphasis on the roadmap that we saw in Russia, for example, in the media and in political debate. I think this was really a case of diverging interpretations of the results.